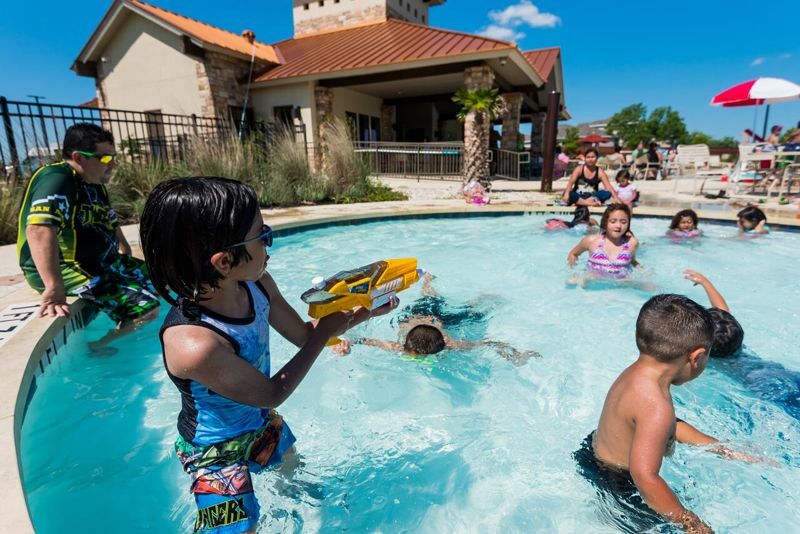 Central-Texas-based SouthStar Communities develops residential master-planned communities across Texas and the Southern United States. Most notable, the number of Californians moving to Texas, personally and bringing their companies and jobs to the state. 299 businesses moved from California to Texas in 2018 – Texas received the largest share of relocating Californian businesses of any state in the country last year. SouthStar is actively developing seven communities across Texas, including the two communities in the San Antonio MSA, and another as the largest and fastest growing community in the Frisco/North Dallas area. As buyers continue to folk to Texas from across the country, seeking space and lower taxes and cost of living, SouthStar president Thad Rutherford confirms the company’s commitment to Central Texas. Growth in the dynamic SouthSide is highlighted by the dynamic offerings and international businesses found at Brooks, from the new Greenline wi-fi covered greenspace and gathering area, the Hangar 9 events venue and the myriad companies bringing jobs to the area. The new TJ Maxx Distribution Center, opening in 2019 is planned to bring 1,000 new jobs to Southside. Supporting this job growth is the addition of exciting Career and Technical Education facilities now on campus at the SouthSide Independent School District. Mission del Lago makes homeownership affordable in the area. This 800-acre masterplan features homes from leading national homebuilders Lennar and DR Horton plus rich on-site amenities including the 18-hole Mission del Lago Golf Course (part of the city-owners Alamo Trail) , the Gallardo Elementary School, two parks, a sparkling pool and pavilion, and an ideal setting minutes from downtown and bordering the Mitchell Lake Wildlife Refuge and Audubon Center. For more information about the Texas economy or buying a home or land in Texas, visit https://www.southstarcommunities.com/.